How can you not love a film in which the purchase of a television represents the ultimate in personal humiliation? Middle-age widow Cary Scott (Jane Wyman, only 38 at the time but prematurely aged by a ten-year marriage to Ronald Reagan) has fallen madly in love with her hunky young gardener Ron Kirby (Rock Hudson). The instant Cary accepted Ron's invitation to come over and see his silver-tipped spruce, she was hooked for life. You'd think Cary's friends and family would be thrilled for her to find new happiness, but that's because you don't know she lives in Hell, also known as small-town USA circa 1955. Still riding the post-war high, the middle-class social climbers who comprise Cary's social circle thrive on the unwritten but iron clad rules that comfortably mark their path to success. Even Cary's adult (though nowhere close to mature) children make no effort to hide their disgust; mom was supposed to marry a respectable (i.e. older and doughier) business man, not this gorgeous slab of beefcake. Shaken by the disapproval of her loathsome progeny, Cary breaks off the relationship and, even given multiple opportunities to change her mind, she chooses to continue to suffer in isolation. When headaches make her life a misery, she simply endures. When it becomes clear that her children have no intention of spending time with her even after she's acceded to their wishes, she dutifully accepts her fate and prepares to count the hours until the welcome release of senility and death. Cary rushes to Ron Kirby's side, and while director Douglas Sirk is far too skeptical to promise a lasting happy ending, at least the lovers make a go of it, and do so in a beautiful rustic mill with a giant bay window view of nature that beats anything on the small screen. Sirk liked windows but he especially loved mirrors, a fetish he indulged without the slightest sense of shame in film after film; Sirk's number one fan Rainer Werner Fassbinder would eventually out-Sirk the master on the mirror front. Critics love to read social critique into Sirk's meticulous mise-en-scene, but let's not overlook the obvious; those mirrors sure open up the room and give even mundane settings that ornate touch that makes the director's films so immensely enjoyable from moment to moment. There are so many marvelous flourishes in “All That Heaven Allows” (1955). 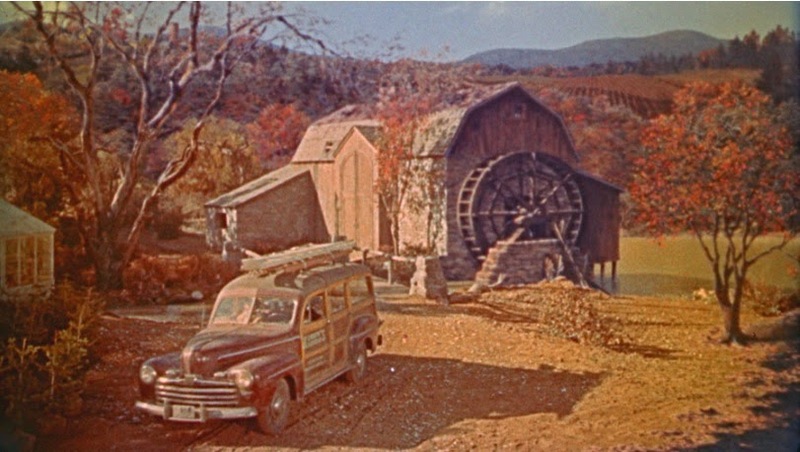 When we first meet Cary's friend Sara (the great Agnes Moorehead), we enjoy the Technicolor treat of two of the bluest objects ever seen together on screen: Sara's powder-blue car and her dark blue sweater. Then there's Cary's Freud-quoting daughter Kay (Gloria Talbott) suppressing all kinds of libido behind her little proto-hipster glasses. And who can forget that brazen attention whore of a deer at the very end? Of course, there's also Rock Hudson, so improbably handsome that you barely notice his inexplicable shifts from quiet confidence to random irritation within the same scene. He and Wyman had already made a magical couple in Sirk's “Magnificent Obsession” (1954) just the year before and they hit it big yet again here. It's not so much that they had crackling screen chemistry a la Bogey and Bacall, just that they seemed so right together, alone enough to really need each other, desperate enough finally to ignore what anyone else thought. The melodramatic plot sticks to familiar and sometimes implausible territory, but what really matters is how effectively that Sirkian mirror gets turned on the overt fascism of a society that upholds conformity as a virtue. Anyone who makes it their business to worry about who someone else is in love with is eventually going to make everything else their business as well. Sirk really knows how to make you hate these swine. You'd probably cheer if Cary took a meat cleaver to her worthless, ungrateful children, ground them into chili, and served them at the next Rotary Club Meeting. These people are so awful they deserve to spend the rest of their lives just sitting at home and staring at a screen all night long... but no, that would be too cruel. Let's stay with the kindness of the meat cleaver. The 1080p transfer showcases some incredibly vivid colors, especially blues and reds. Image detail is also excellent through most of the film. There were a couple moments within scenes, however, where the image quality dropped off a bit, most notable the richness of the colors, perhaps due to the state of the 35 mm camera negative. One shot that stood out in particular comes around the 19:55 mark; a long shot of the old mill that will provide a central location looks rather drab and a bit soft compared to other shots of the same setting. However, these are minor problems in a strong transfer. This is a dual-format release with two DVDs (one with the film, the other with most extras) and a single Blu-ray with everything. The DVD transfer has not been reviewed here. The linear PCM Mono track is crisp, but more functional than anything else. The score by Frank Skinner swells from time to time, but the sound design is fairly straightforward and not particularly dynamic. Optional English subtitles support the English audio. Criterion has imported some of the extras from the 2001 SD release and also added several for this 2014 dual-format release. The film is accompanied by a new (2014) commentary track by film scholars John Mercer and Tamar Jeffers-McDonald and provides comprehensive analysis of the film with a heavy emphasis on genre studies. Another new feature will probably be of interest to many viewers. “Rock Hudson's Home Movies” (1992, 64 min.) is a hybrid documentary by director Mark Rappaport in which an actor (Eric Farr) appears on screen as a narrator who sometimes speaks in first person as if he was Rock Hudson. The basic idea is that this film studies clips from Rock Hudson's career in order to spot the moments that allude to his homosexuality, which was well known in Hollywood but hidden from the public. In an early line, Farr says “Movies and eroticism – who can separate them?” Since I couldn't help but answer, “Me! Me!” I realized I was better off skimming the movie and then bailing on it completely. Another new inclusion for this release is a 2007 interview (23 min.) with actor William Reynolds who plays Wyman's son in this film and also appeared in two other Sirk films. Reynolds didn't hit it big, but had a steady and productive career and the 76 year-old radiate plenty of charm in this interesting piece. Repeated from the 2001 release is “Behind the Mirror: A Profile of Douglas Sirk.” This 1997 BBC program runs 53 minutes and features interview footage from an 80-ish Sirk in semi-retirement in Switzerland. 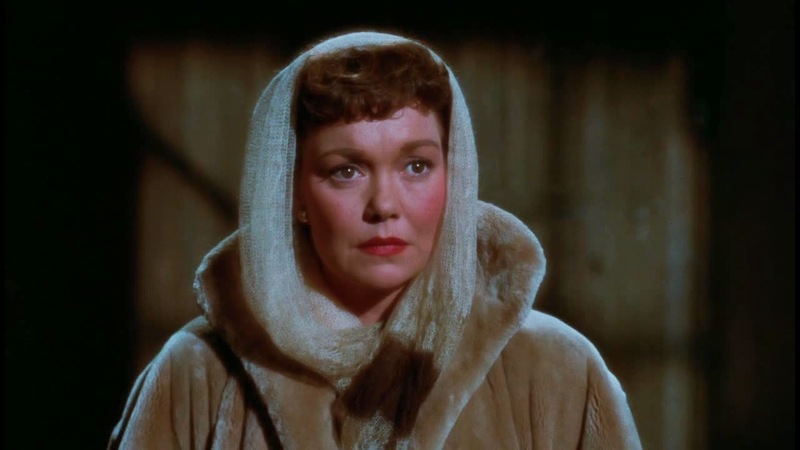 Sirk's still sharp as a tack and has plenty of great stories. Another repeat is an interview with Sirk conducted by Pascal Thomas. This 16-minute interview originally aired on April 14, 1982 on the French TV program “Cinéma cinémas” and shouldn't be overlooked against some of the longer features on the disc. 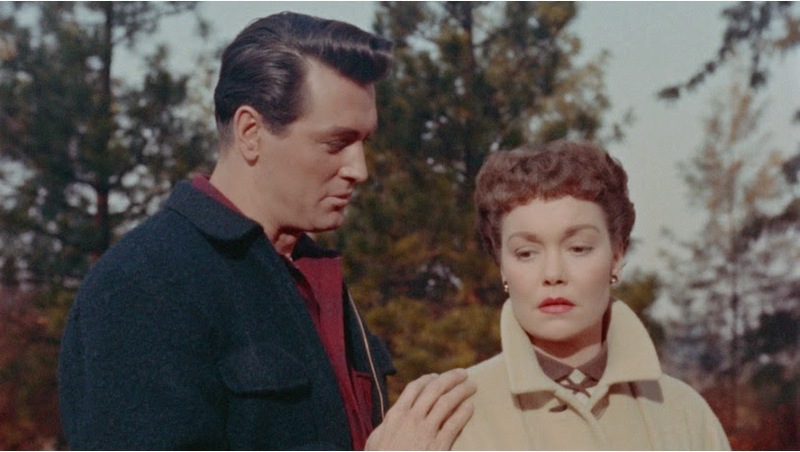 Sirk talks about working as second cameraman on his features to get a better sense of the shot and his fondness for “quiet faces” like Jane Wyman's. An old listing for the 2001 SD indicates the inclusion of a gallery of Lobby Cards and Production Stills and those have not been imported to this new release. An “illustrated essay” by Rainer Werner Fassbinder now appears only in text in the insert booklet. In addition to the (excellent) essay by Fassbinder, the insert booklet includes an essay by critic Laura Mulvey. 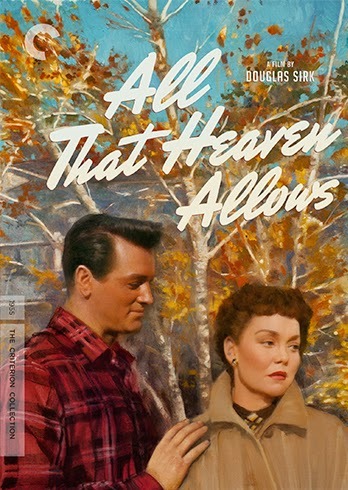 “All That Heaven Allows” owes its enduring appeal to the fact that it works as a straightforward melodrama, but is so meticulously crafted by a visual master that it provides endless material for those who wish to mine for deeper social commentary. The 1080p transfer from Criterion shows off the vivid colors crucial to Sirk's best films and an impressive array of extras make this a must-own for any fans of the film or filmmakers.